You are here: Home / Inspiration / Home Decor / Our Agenda for #BlogTourAmbiente to Frankfurt, Germany! 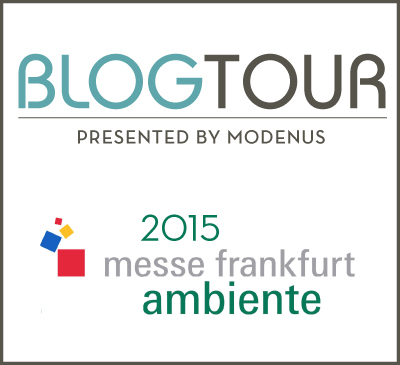 Our Agenda for #BlogTourAmbiente to Frankfurt, Germany! I’m Frankfurt, Germany bound with #BlogTourAmbiente and this trip will be one for the memory book! If you remember back in 2013 I joined Modenus’ #BlogTourLA where you traveled with me to Los Angeles, California. This week from Feb 11-17th I will bring you along with me to the Ambiente Consumer Goods Trade Fair. ….the world’s most important consumer goods trade fair, which boasts a globally unrivaled range of products in the Dining, Giving and Living areas. This is where over 4,700 exhibitors from 89 countries showcase an international range of consumer goods. Only here will you find from 13 to 17 February all the market’s new products, inspiring ideas and the latest trends. In 2015, the stage has been set for a wealth of ideas and suppliers from this year’s Ambiente partner country, which is also one of the fair’s top 15 exhibitor nations – The United States of America. 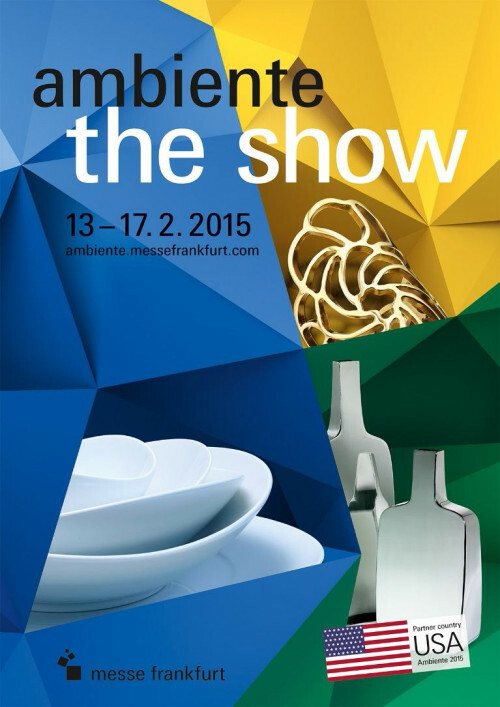 It’s exciting to represent the U.S. for the first time at Ambiente. What an honor! 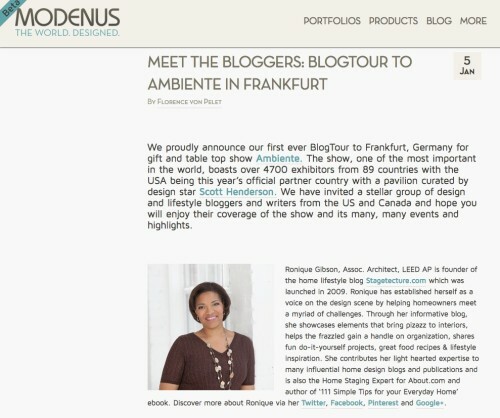 Take a look at the other Modenus #BlogTourAmbiente Design Bloggers who will join me on this exciting trip. Follow me on Instagram as RoniqueGibson. The BEST way to follow me is on Instagram and Facebook. Images from who I meet, where I travel and my travel ramblings can be found there! 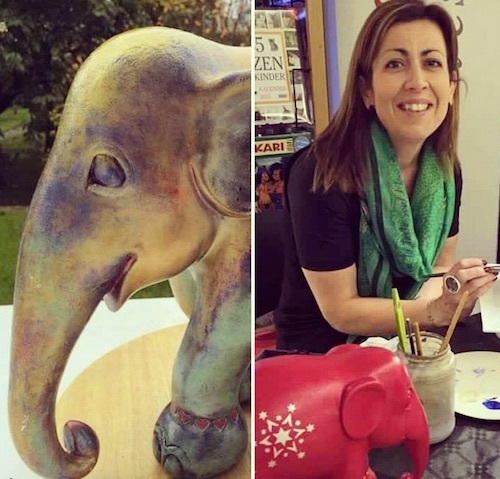 Here’s my warm welcome greeting I got this weekend from Elisabeth Herckes – who is an artist for Rikki Tikki who will be showing at Ambinete. Don’t you love social media? Facebook is a great way to keep up with me too! Follow me at RoniqueJonesGibson or Stagetecture on Facebook. Follow me on Twitter – @Stagetecture as well as Ambiente and the follow the Hashtag – #BlogTourAmbiente & #Ambiente to keep up with all of the happenings! 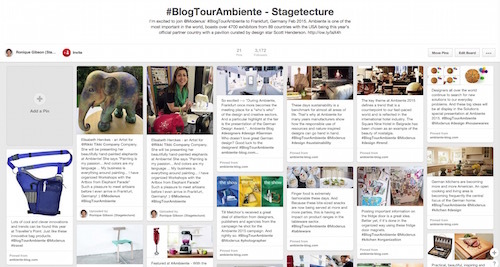 Follow the #BlogTourAmbiente – Stagetecture Pinterest board here. 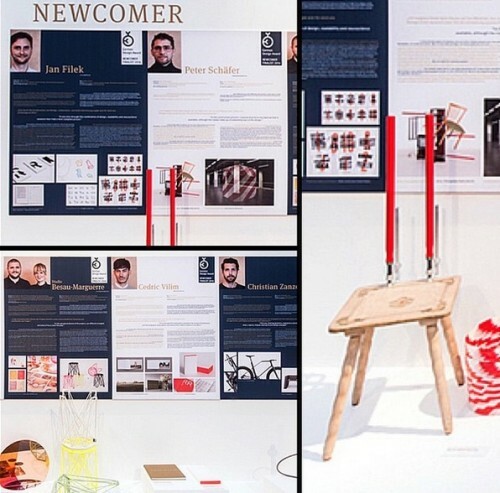 On Pinterest you will see some of the Designers who will be presenting at Ambiente. We’ve highlighted designer’s from the Ambiente blog and pinned an image from each of their posts. Such a great representation of talent. See the highlights after the show of my trip as I pin them to Pinterest for a compilation of the best images from our Frankfurt experience. Farewell get together and select the winner of the BlogTour Miles Award.